It doesn't come around often, and it's hard to say exactly what it is. The name stands for Boutique Eat Shop, which doesn't begin to describe what's actually going on inside here. So allow us to paint a scene: you'll descend on a brightly sunlit art gallery/restaurant/prime investment opportunity, soft-open for brunch this very weekend. 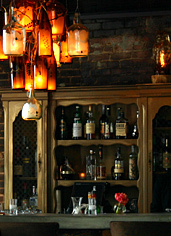 And as soon as you step in, you'll come face-to-face with a glowing glass bottle chandelier hanging over the bar. You may think about purchasing this stunning chandelier for yourself. You may do so. At an auction in the near future. However, and this is key, you will not take it home. The chandelier stays. Congratulations. 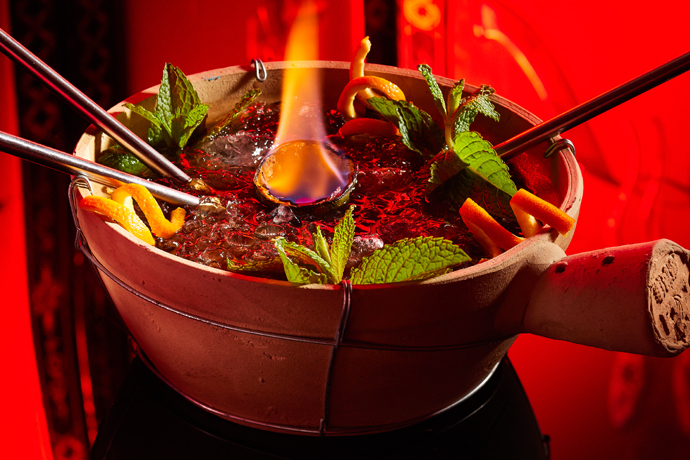 You now own part of one of the most interesting new spots to come along in a long while. The investment model is designed to support artists, like the chandelier maker, who receives half of your money. The other half goes to a nonprofit. And you get the full satisfaction of taking your rightful place amongst the city's most famous patrons of the arts. You'll stop in for a drink on a breezy afternoon, acquire some champagne, stand under your new chandelier and end up deep in conversation about the art of arts funding. Other fixtures that will be up for auction include a model of the Met surrounding the kitchen. Naturally, you'll want to check out the model's interior before you buy, but all you'll see inside are cooks preparing your P.B. & Bacon Sandwich. An investment with more immediate returns.